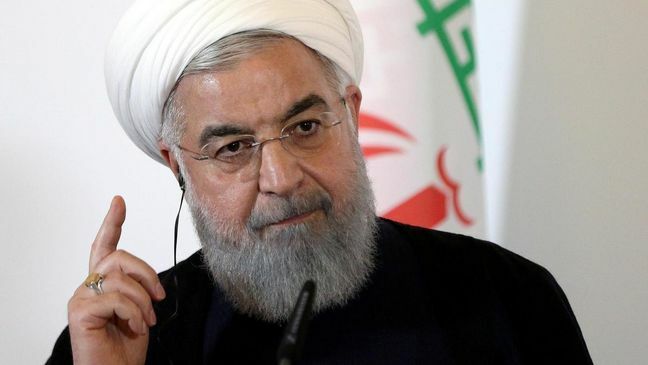 EghtesadOnline: President Hassan Rouhani said Wednesday that dirty money and money laundering has become a universal challenge not limited to any single country and Iran is no exception. Speaking at the weekly Cabinet meeting, Rouhani said that where drug trafficking exists, money laundering is very close by and because narcotics is available in the region and in Iran, so too is dirty money. "Show me one country in the world where money laundering does not take place, or narcotics and corruption does not exist," Rouhani said, the government's official website reported. The president was speaking 11 days after his Foreign Minister Jaavad Zarif in an interview with Khabar Online news website talked about money laundering on the scale of "thousands of billions of tomans" in the country, according to Financial Tribune. In a rare and blunt analysis, he said the people who are behind such transgressions are the main voices opposing the ratification of bills related to combating money laundering and terrorism. Zarif’s comments prompted strong backlash from conservative lobbies and lawmakers who have demanded that he present evidence to support his claims or face a motion of no confidence in the Majlis. Judiciary chief, Ayatollah Sadeq Larijani, also criticized comments by Zarif, comparing them to a "dagger in the heart of the system." Larijani said if such money laundering in fact exists the relevant information must be sent to the judicial authorities. Fars News Agency reported on Tuesday that the judiciary has given Zarif a 10-day deadline to present evidence to back his claims. Foreign Ministry spokesman, Bahram Qassemi, denied the report. Rouhani told his aides that Iran is a country at the forefront of fighting terrorism. "We should be a major country forestalling terrorists from using financial channels for moving money". The Rouhani administration has sent four pieces of AML/CFT legislation as part of its efforts to complete an Action Plan proposed by the Financial Action Task Force to ease banking relations with the world. All but one of the bills are held up by different vetting bodies -- either the Guardian Council or the Expediency Council -- and have yet to become law. FATF announced last month that Iran has until February to complete reforms that would bring it into line with global financial norms or face consequences. The Paris-based Financial Action Task Force said after a meeting of its members that it was disappointed that Tehran had failed to act on nine out of 10 of its guidelines despite pledges to make the upgrade. It had previously set a deadline of October to complete all 10 reforms. In its official statement, however, FATF did not specify whether it will extend Iran's deadline after February or this would be the last time such a waiver is granted. Rouhani admitted that sporadic corruption and bribery exists in the public sector and said that instead of getting vexed over the issue, the nation must fight the ugly phenomenon of money laundering. Iran, stuck between the world's opium capital (Afghanistan) and transit routes to Europe through Turkey and Central Asia, seizes the major portion of the world's illicit drugs including opium and heroin.